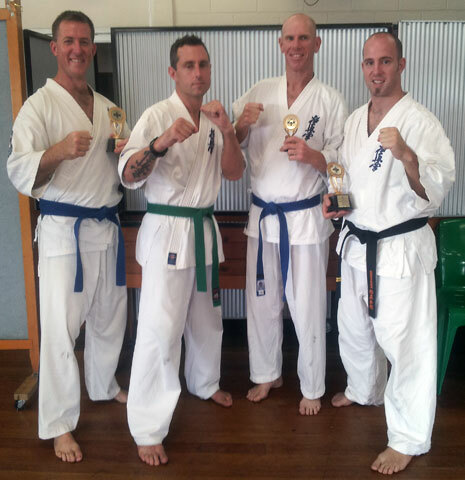 On Sunday 24th of March, the 2013 Queensland State Kata Competition was once again held at the Ipswich Dojo. 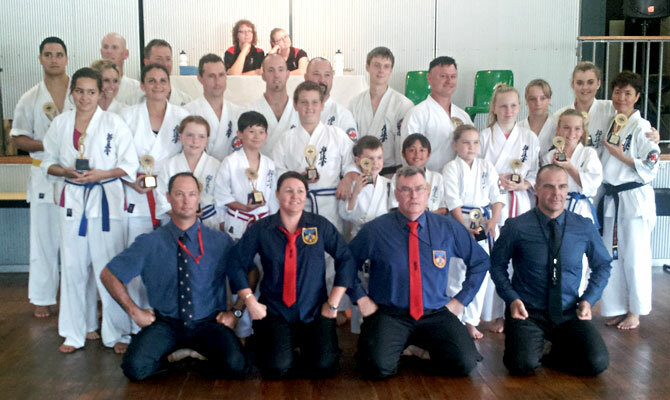 In all, 22 competitors went head to head to perform their best kata to their own grade levels. There was a vast range of kata’s on display from junior grades, right through to senior Dan grades. As it was quite a hot day, most students felt the pressure against their opponent early on, but certainly showed that the heat would not discourage them from giving everything towards their technique and kata abilities. Competitors and spectators were also treated to a kata demonstration cleverly displayed by the Black belt Dan grades of the Ipswich Dojo. We would like to thank Sensei Mike Wyville for once again organising, hosting and judging a fantastic kata competition. Also a huge thank you to Sempai’s Peter Meredith, Janelle Madson and Chris Gale for their input as judges on the day. Thanks to all officials that helped run the event smoothly. And above all a big congratulations to the Students that competed on the day. OSU!! !